There are few things as sweet as throwing some clothes, your togs, your jandals, some good sounds and your best mate into the car and shouting, ‘ROADIE!’ as you leave your everyday life behind. Chuck this book in while you’re at it. 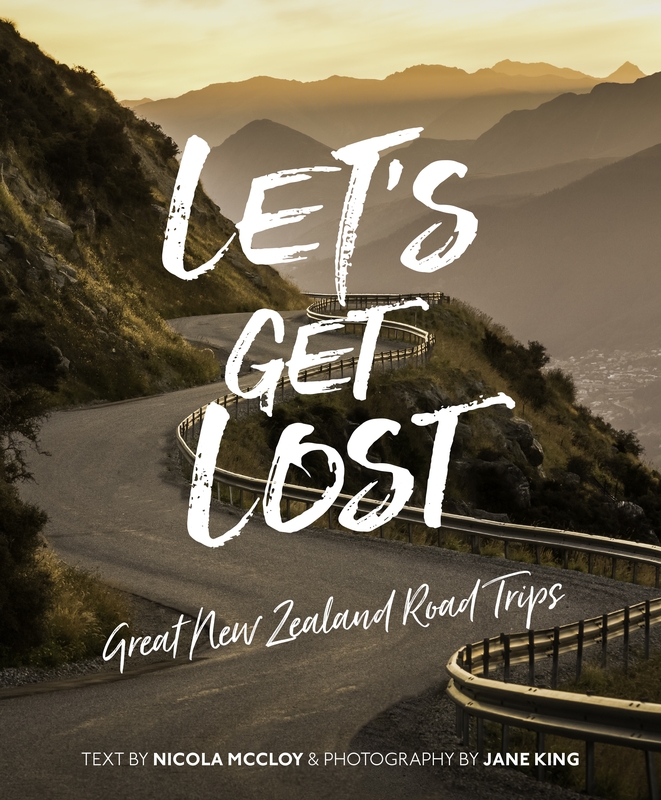 Let’s Get Lost is a guide to the real New Zealand that few of us get a chance to explore. In its pages, you’ll pass through the sausage capital of New Zealand, take a dip in a secret lake, visit a village entirely populated by guinea pigs, share a yarn with many a local good bugger – and so much more. Let’s Get Lost will inspire you to get out there and take in some of the best this fantastic country has to offer. I always thought telling someone to “get lost!” was rude. Not anymore. More than just a travel guide, this book has Must Do’s, Diversions (from your route) and notes on Local Heroes who have craft studios or wildlife rehab centres; as well as history and where the best bakeries and other kai, is to be found. All this is told in a journal style which guides the reader like an old friend who knows the area very well and will make sure you do not miss any of the sightseeing or fail to appreciate the area you are travelling though. Did you know Mark Twain was in Palmerston North in 1895? Me neither. Learn and master the dishes made in the famous caff on Southend pier by Jamie and his star-studded guests. From Party-time Mexican tacos with zingy salsa and sticky BBQ British ribs, to Steak & Stilton pie and the Ultimate veggie lasagne made with smoky aubergine, we’re talking about big-hitting, crowd-pleasing recipes that everyone will love. It’s all about sharing and celebrating the joy of good food. Treat yourself and your loved ones to this incredible selection of full-on weekend feasts from Jamie. When I receive a new cookery book for review, I expect to find new and interesting recipes and maybe some entertaining anecdotes. What I don’t expect is a geek fest. 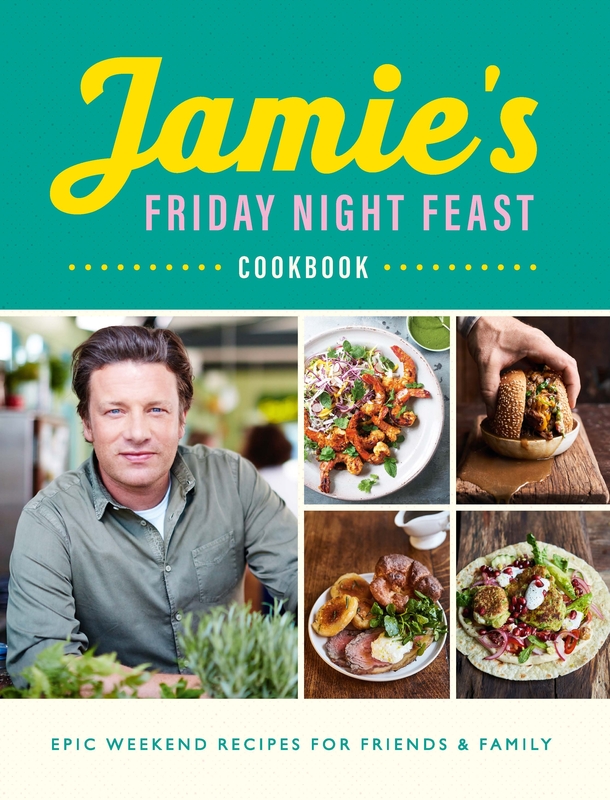 But this is the book that goes with Jamie’s Friday Night Feast, Jamie’s new TV series, in which he creates memorable dishes for celebrity guests based on their experiences. And when those guests happen to include such SF&F notables as Mark Hamill, Joanna Lumley, Warwick Davis, David Tennant, and Orlando Bloom, there is definitely something to appeal to the inner geek. Whether or not you’d cook these recipes is another matter. They’re well-written, detailed and approachable, but the majority are definitely for those special occasions. I don’t see David Tennant’s Croatian-style Cuttlefish Risotto happening any time soon in my household (mainly because cuttlefish aren’t exactly common in NZ fish shops). There’s a very nice Chicken Pot Pie recipe I tried (although I left out the veal meatballs). I definitely want to make that Steak and Stilton Pie come winter as a special treat. And my son is keen for the Pork Ramen, though I suspect I’ll be buying the ramen noodles, not making them from scratch. So, you know, while you might buy this book for the famous names, I think you will most likely keep it for some excellent recipes for those times when you might want to impress – in more ways than one.